fidential report has been sent to the President. Japanese government on many matters of common interest. United States Takeshi Yasukawa and Nobuhiko Ushiba, and others. situation in Okinawa on his way back to Washington. missions. for their assistance in connection with the trip. and second only to the United States among the industrial democracies. fluence the flow of international events. of food, raw materials, and as a market for Japan's industrial output. and undiplomatic treatment of our closest major ally in the Pacific. voted to unproductive military spending. the threat or use of force as means of settling international disputes. ligerency of the state will not be recognized. national environment, notably in Northeast Asia. trnsted to effective foreign policies. is stalled by a dispute over Chinese insistence on an "anti-hegemony"
the level of trade in 1970.
bassador. The association is financed primarily by private funds. vestment, and travel between Taiwan and Japan have all expanded. of Taiwan's trade in 1975-$3.47 billion). what less than commerce with China. Last year exports to the U.S.S.R.
which is divided in its sentiments about the problems of the Peninsula. 1 The Islands in dispute are: Etorofu, Kunashiri, Shikotan, and Habomat. opments in Korea on Japanese security. close to adequate for maintaining the population. provement mi general living standards. which are distributed by Japan are now made in South Korea. factor in the inflow of private capital. in the event of war. tourists and other visitors a year pass through them to the 380 parallel. other visitors from Communist countries to observe the dividing line. tion by other means but progress to date has been completely absent. the cost of their military establishment. to South Korean officials, even more perhaps than to the Japanese. are concerned is one of stability. which is being fostered in the South. South. The potential for spreading instability would be very great. Korea is a time-bomb which has yet to be defused. ship: the Philippines, Thailand, Malaysia, Singapore, and Indonesia. ficial put it, "cannot co-exist." ultimate dependence on the U.S. security guarantee. the part of other nations. to an end of confrontation. Peninsula where a minor incident would not escalate to a large-scale conflict. invasion, should it ever be undertaken. and areas for their use, which in turn make their presence tenable. the wider spectrum of friendly U.S.-Japanese relations. though there was some initial nervousness. as a portion of the overall budget. owned land is paid to the landowner by the Japanese government. contraction in the U.S. presence in most parts of Japan over the last quarter of a century. dirigr the Korean War. in 1959. the airfield for SapToro reverted to Japan and U.S.
tion of U.S. facilities is paid for by the Japanese government. land area of the island chain. less of the fact that they do not feel threatened by any external power. Japanese mainland for firing practice. $735.5 million for the last four months of 1975.
percent for comparable spending in the United States. needs are derived from imports (seventy-seven percent from oil). two major bilateral issues of current concern, fisheries and air routes. would be held in abeyance for an additional period to give the U.N.
official agreed, "cannot be checked through individual governments." Nations may well be peculiarly suited to this purpose. most powerful industrial democracy in the world. And under the J.S. ergies to creating an economic machine of immense productivity. Japanese, to patronize them, or to ignore their legitimate interests. ated Joint Defense Cooperation Subcommittee. Japan is uniquely situated to play an international role of leadership. ter to that end would be in order. and more closely attuned to the broader spectrum of Japanese opinion. facilities is desirable, economical and will serve our common interests. creating a truly viable "one world." This is a worthy goal for both countries. established for periodic consultations on problems of common concern. tinuing dialogue, at all levels, on matters of mutual interest. tween Japan and the United States. from South Korea as that nation's military strength improves. Agreed Minute and Exchanges of Notes. to promote conditions of economic stability and well-being in their countries. defense as affrmed in the Charter of the United Nations. in any other manner inconsistent with the purposes of the United Nations. peace and security may be discharged more effectively. courage economic collaboration between them. subject to their constitutional provisions, their capacities to resist armed attack. Japan or international peace and security in the Far East is threatened. a nce with its constitutional provisions and processes. amended, and by such other arrangements as may be agreed upon. changed by them in Tokyo. of international peace and security in the Japan area. case the Treaty shall terminate one year after such notice has been given. I he Treaty ,f Mutual Cooperation and Security. In the event of an armed attack. IelSUres which it might be able to take for the welfare of the islanders. secure the welfare of the islanders. Secretary of State of the United States of Amerioa. consultation with the Government of Japan." "Major changes in the deployment into Japan of United States armed forces. consultation with the Government of Japan. is also the understanding of the Government of the United States of America. September 8. 1951, the exchange of notes effected on the same date between Mr. Status of the United Nations Forces in Japan signed at Tokyo on February 19.
arrangements made pursuant to the Treaty of Mutual Cooperation nad Security. Secretary of State, of the United States of America. tember 8, 1951, the exchange of notes effected on the same date between Mr.
in Japan remains in force. of Mutual Cooperation and Security. at Washington on January 19, 1960." is also the understanding of the Government of Japan. the Go vernment if Jaa. e-uoperarive relations betw~een the two eounrries in the field I f se urirv. Under this proposal the present "Japane -Ameri can C,,tumirtee on Securuv"
Japan. will serve as arernate for fihe C inmander-i,- X t. 1a nc. I would appreciate very nmuc h yo ur views Qn th-s tie r.
I also azree to your tprop, sal regarding the miembersh>ip f this vouittee. of America when in the territory of Japan. to Japan by the United ,States shall be considered as United States natioinals. upon a member of the United States armed forces or civilian compinpoent. through the Joint Committee provided for in Article XXV of this Agreement. sary to the operation of such facilities and areas. under continual observation with a view toward such return. normally used by the United States armed forces. visions of this Agreement shall apply. sultation between the two Governments through the Joint Committee. by arrangement between the appropriate authorities of the two Governments. coniniulucations electroniics required by the United States armed forces. forces shall be carried on with due regard for the public safety. in lieu of such restoration. of the facilities and areas. with the Government of Japan. cording to the laws and regulations of Japan. f,)rc* and betvoen such facilities and areas and the ports or airports of Japan. military vehicles shall be free from toll and other charges. but if a ibt is taken pilotage shall be paid for at appropriate rates. any changes in them or establishing additional navigation aids. services belonging to, or controlled or regulated by the Government of Japan. of the Government of Japan. cal data of the Meteorological Agency. quired for the safe and regular operation of aircraft. waves resulting from earthquakes and areas that might be affected thereby. ject to the provisions of this Article. which must be presented on request to the appropriated Japanese authorities. Japan, or while in Japan. (f the united d States armed forces, the civilian component, and their dependents. and regulations administered by the customs authorities of Japan. armed forces for the purposes specified above. for private use brought by the said persons upon entrance. forces or civilian component for the private use of themselves or their dependents. (c) Military cargo shipped on a United States Government bill of lading. to import such goods free of duty. and their dependents in accordance with this Article. of inquiries and the collection of evidence. authorities of the Government of Japan are handed to those authorities. of such forces or of the civilian component, or their dependents. to the appropriate authorities of the force concerned. ance of, the competent authorities of Japan. ling tax; (c) Gasoline tax; (d) Electricity and gas tax. therefrom as is consistent with the purposes of this Article. laid down by the legislation of Japan. regulations with respect to terms and conditions of employment. of in Japan to persons not entitled to purchase such goods exempt from such tax. charges on property held, used or transferred by such forces in Japan. cile in Japan for the purpose of Japanese taxation. he subject to the laws and regulations of Japan. paragraph 1 shall not be subject to taxes or similar charges of Japan. l)y this Agreement. The provisions of this paragraph do not exempt such persons! in relation to offenses committed in Japin and punishable by the law of Japan. as is conferred on them by the law of the United States. lations, license, fees, taxes or similar controls. authorized to make purchases from such organizations. to the Japanese authorities as is required by Japanese tax legislation. from any political activity in Japan. punishable by the law of the United States, but not by the law of Japan. security of Japan. punishable by its law but not by the law of the United States. that State, or secrets relating to the national defense of that State. primary right to exercise jurisdiction. tion in accordance with the above provisions. forces, the civilian component, or a dependent. their return within the time specified by the authority delivering them. current rights to exercise jurisdiction. such punishment in a similar case. 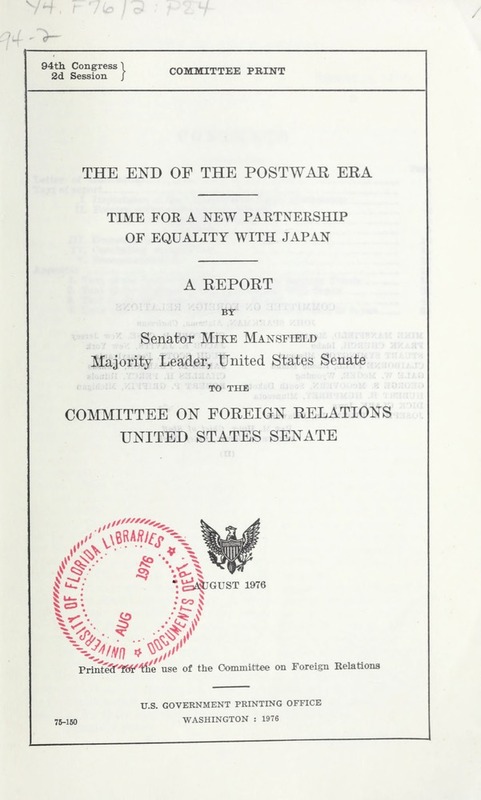 United States under the provisions of this Article within the territory of Japan. which he was tried by the authorities of Japan. States and to have such a representative present at his trial. discipline and order among the members of the United States armed forces. to replace the provisions suspended. it existed at the relevant time. damage was caused to property being so used. used by its defense services for official purposes. shall also decide any counter-claims rising out of the same incident. who hold or have held high judicial office. t h0 Terformance of his duties, be defrayed in equal proportions by them. hall agree on tie appropriate adjustments of these amounts. eiigagdl in the performance of his official duties. activities of its Self-Defense Forces. upon or determined by adjudication shall be made by Japan in yen. tribunal denying payment, shall be binding and conclusive upon the Parties. reply within two months, the proposed distribution shall be regarded as accepted. and 75 percent chargeable to the United States. bursement shall be made, in yen, within the shortest possible time. matter arising from the performance of their official duties. g) Except in so far as subparagraph (e) of this paragraph applies to claim. for death or personal injury to which paragraph 4 of this Article does not apply. mind shall prepare a report ,n the matter. gratia payment, and if so, of what amount. and of the sum paid. s satisfaction of the claim. Article, except in so far as the United States armed forces are legally responsible. this point shall be final and conclusive. provided in paragraph 5(f) of this Article. law, is within the facilities and areas in use by the United States armed forces. and turn over such property to the Japanese authorities. 10. Disputes arising out of contracts concerning the procurement of materials,. may have to file a civil suit. Japan its Self-Defense Forces and for the Vnitrd States its armed forces. III of the Security Treaty between the United States of America and Japan. their dependents from sources outside of Japan. of the Japanese foreign exchange controls. military payment certificates except as authorized by United States regulations. or uttering of counterfeit military payment certificates. result of any unauthorized use of military payment certificates within Japan. other United States post offices. under the applicable laws of Japan. as provided in Articles II and III. tions arising out of this Agreement. visions of this Agreement which require such action for their execution. nated by agreement between the two Governments. texts equally authentic, this 19th day of January, 1960.
radio communications facilities, including submarine land subterranean cables. radar apparatus and eletronic devices. by them only in exceptional cases. 2. The Japanese ports lnentioned herein will ordinarily mean "open ports." armed forces or similar reasons. provided otherwise in this Article. which are hereby incorporated by reference. gories of persons entering and departing. reasonably required for such use. owner nor does it require single loading or shipment. shipped to other agencies of the United States Government. whenever the entry of such goods is discovered. measures by the United States armed forces. changes in their procurement program in Japan. tee or other appropriate persons. of such materials, supplies and equipment directly from manufacturers thereof. forces to the Japanese authorities. articles or facilities used by United States armed forces. the Japanese Government for disbursement by the United States. missions of Japan, subject to the provisions of paragraph 6, Article XII. t\ et, the appropriate authorities. not be treated or considered income derived from Japanese sources. the Government of the United States." fenses in the existing laws of their respective countries." ceedings. be sufficient evidence of the fact unless the contrary is proved. 31S of the Japanese Code of Criminal Procedure." jurisdiction shall be determined by the Joint Committee. nationals for the purposes of this paragraph." has the primary right to exercise jurisdiction, the Japanese authorities will. provided that be shall, on request, be made available to the Japanese authorities. "(e) No cruel punishments shall be imposed upon him. sions of the Japanese Constitution with respect to public trials." pursuit of a flagrant offender who has committed a serious crime. lie turned over to the Japanese authorities. immediately turned over to the Japanese authorities. authorities of such persons or property. of the United States Government ordinarily accorded such privileges abroad. an agreement between the two Governments. provided for in paragraph 6(b) of Article XII of the above-cited Ag.reement. above on the basis of mutually agreeable criteria. an agreement between the two Governments." and their effectiveness depends on mutual trust. and some of the problems inherent to their organization. where impressive military forces, including those of the two superpowers. in Europe but has long been inherent to Asia. all types of struggles, either national liberation or ideological. possible creation of a new international order under a Pax Russo-Americana. erated development of arms control and other measures. from countless military clashes since the end of World War II. cooperative relations, not only military but also political and economic. tems under regional arrangements still remain an appropriate option. strengthen the links of the chain of nations and to make peace strategy viable. on common will and mutual responsibility. significantly lower level than what their inherent military might represents. fense of small and medium nations. rivalry seem to be so overt and intensive. The United States, on the oti~er hand. concern in terms of a visible presence in the region. of the United States, the Soviet Union and China. concentrations are obvious on both sides. Fleet has acquired the status of a full-fledged Blue Water navy. 5th Air Force maintain high mobile strike capabilities. areas in the world in terms of military tension. A military contingency. h ,wever. rium supported by the US military presence in Korea. stipulation of article 9 of the Constitution. but also the political viewpoints. be ready to deal with a contingency by denying others easy armed aggression. al aggression before it is actually launched. the public in helping and cooperating with them in peacetime. of friendly United States-Japanese relations. to the Defense Council for a final decision. ninsula where a minor incident would not escalate to a large-scale conflict. f ot her sznall-scale military invasions. other intelligence activities than to other elements of the defense capability. air and other types of illegal military acts. tively; that in turn means that smooth operational coordination with the U.S.
forces will be of critical importance. response to changes in the international situation. the men in the forces. 2. "COMMITTEE TO THINK ABOUT DEFENSE"
of the basic standing force. mental effect upon the morale of the men in service. the noise levels of aircraft and to prevent other forms of possible public nuisance. aration for a possible major earthquake. accomplished, mainly due to extremely high procurement cost. scrambles stands at about 320 times a year (table 1). A Defense Medical College was set up to meet an acute shortage of medical! 1974 to accept women in both the MSDF and the ASDF. as maintaining a technological potential and streamlining logistic support. thus been made on a case-by-case basis. Domestic arms production and R. & D.
Balance published in the corresponding year. 3. The figures for Chinese divisions do not include artillery, and railway construction engineer divisions. 5. U.S. forces in the Far East are in Japan, the Republic of Korea, Taiwan, and Philippines. 6. The figures for Japan indicate actual strength. r#c',ii,, i ss~uic i c.; it does not iflcIude helicopters. FIGURE 2.-Deployment and basing around Japan. FxGuRE 3.-Relief for disastered people. FIGURE 4.-Trend of defense budget. khlink.-lln, nce uid R~epai r.' "
Ai ycli ft. stlid zhips. a part of the U.S. military community in Japan upon reversion.